Webroot Antivirus-arvostelut 2019 – Miksi 4.3 tähtiä? A lightweight but effective antivirus tool, ideal for older hardware. Independent testing is limited and my phishing test gave me some doubts, but I’m still comfortable recommending it. 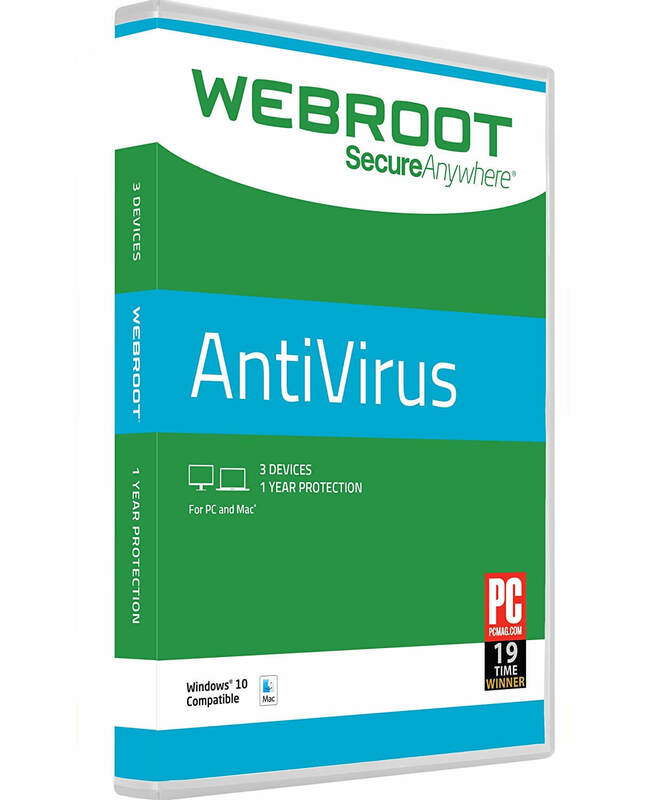 Webroot SecureAnywhere is a lightweight antivirus and anti-malware tool. Although it hasn’t been through many independent antivirus tests, I did my own research to find out whether or not this solution can work as a primary antivirus. Webroot SecureAnywhere has a basic scanning feature which checks files and directories for viruses and malware. Users are able to choose between running a full system scan, a quick scan, a deep scan for rootkits, trojans, and other threats, as well as a custom scan which only checks specifically selected files and directories. Users can also toggle on and off rootkit protection, enable or disable master boot record (MBR) scanning to check for viruses that have corrupted the computer’s boot sequence, and detect and remove potentially unwanted applications. Potentially unwanted applications (PUAs) are programs that contain adware, nuisance browser toolbars, or other pieces of unwanted software. Having an effective system for detecting and removing these is vital for a fast, reliable operating system, so I was pleased to see that the program quickly flagged and remove some nuisance toolbars that I tested it with (Dealio and Any Video Converter). Web Shield integrates with a browser extension (Web Shield Filtering) that installs automatically in Firefox, Google Chrome, and Internet Explorer to flag suspicious websites. Using websites taken from PhishTank.com, I tested three URLs in Google Chrome but unfortunately, none, including a phishing site disguised as a PayPal login, were successfully flagged by the program. Running a second dedicated internet security tool may be a smart choice for this. SecureAnywhere includes a fully featured backup and sync utility to store up to 25GB of cloud-hosted backup for important files and folders. The files are encrypted during transmission but not server-side, which would have been a nice second layer of protection. It’s enough to keep and encrypt document folders, but obviously not enough to host a full system backup. A USB shield which monitors any connected USB devices for threats. In the event that malicious programs are detected, the device is prevented from interacting with the system. This is an important level of protection as malware can be sent via air-gapped networks that are not connected to the outside internet. A real-time shield which runs continuously to block threats that are documented in Webroot’s threat definitions and community database. In addition, Webroot SecureAnywhere includes a password manager. This browser extension also integrates with both iOS-based and Android mobile devices—which means that the passwords you save on the web can be accessed anywhere. Installing Webroot Secure Anywhere is quick and easy. The installation file is extremely lightweight at just over 3MB. When running, my task manager showed the program wasn’t consuming any CPU and drew only 0.3MB of RAM while operating in idle mode. It’s perfect for machines that don’t have the latest hardware. The program is backward compatible as far as Windows Vista (both SP1 and SP2), so it’s a good choice for a variety of users. One additional feature that enhances the product’s usability is the Web Console. Although this requires creating an additional account from within the program, it provides some additional management and admin functions. These include the ability to apply upgrades or changes policies on multiple endpoints, the ability to read export logs and to see which files have been quarantined. Customer support includes a web-based knowledge base and a user forum called the Webroot Community. User activity is relatively modest and the description is a little misleading. In the “Tech Talk” forum there’s about one thread per day, but the forum is not a support platform (product announcements are offered, but mostly industry security news is discussed). The web-based knowledge base includes web pages, PDFs, and videos. In general, the documentation is comprehensive and well organized (each page has an index in the sidebar). Human-to-human support is a little less comprehensive, though. There’s a ticketing system, but I could not find a live chat window. My ticket received a response within five minutes and I was emailed a link to continue messaging a support representative online. Although the company operates a sales center for purchases and renewals, customer support is not provided through it. SecureAnywhere can be bought for up to three years on one or three Windows or Mac devices. The value is fair and the deal is better if you sign up for the longer subscription period and cover more machines. In addition, the company offers a 14-day free trial—and no credit card is required. Käyttäjäarvioita ei löytynyt. Ole ensimmäinen joka arvostelee Webroot!